Toby Creative – Branding & Marketing in Perth, WA – are your local Perth Google Partner, and highly reputable Perth SEO Agency that delivers fully integrated effective traditional and advanced online marketing solutions to Perth businesses wrestling with how to market in today’s highly competitive and challenging environment. Read our Perth SEO client case study of Rolloways roller skating rink, whose selected targeted keywords all achieve page-one of Google SERPs (Search Engine Results Pages), with most keywords in the key position one, or top three positions on page-one of Google. Find out why SEO – Search Engine Optimisation – should be the foundation to your marketing strategy, and how our Perth SEO agency specialists will create your customised marketing strategy, set marketing objectives, measure and attribute your campaign ROI – Return on Investment – and provide clear communication, guidance and monthly marketing reports to outline actions taken, performance achievements and the next steps in your marketing activities. Save 10% OFF our Toby Creative Packaged SEO Services in October when you book your no-obligation free initial consultation. SAVE 10% – BOOK NOW! Let’s answer some of the commonly asked questions for Perth businesses thinking about engaging a Perth SEO agency to improve their website ranking, increase traffic, and generate sales from appropriate targeted local Perth customers to their business. Every business in Perth is different and at a different point in their marketing life-cycle, and we expect that. We also know that there is a lot of noise and distraction in our own marketplace, which can be confusing for local Perth business owners… can I do this SEO stuff myself? Is SEO really all that important? I can’t afford to do SEO now, but I actually understand that I need it! Maybe I should get my friend’s son to do SEO, he’s been to uni, or… I’ve seen this agency advertising all the time (spending a lot of ad-spend to get your attention), they must be the best if they advertise a lot? We know and understand what it is like for local Perth business owners and actually feel sorry for many business owners and those in charge with marketing their business. The available choices are huge. But getting it right – that’s the really important part. Because if you make the wrong choice, this can set your business back. It may cause a huge waste of money. It could cause pain and frustration not just now, but for years to come, as further work has to be done to counteract and undo the past mistakes. In the meantime, your competition surge ahead increasing their share of voice, reach, impressions and sales – consolidating their own brand and raking in the clients and sales. Question: Can I do this SEO stuff myself? Answer: I’m sure you could, so long as you are willing to invest a lot of time and effort into learning all the components of this advanced technical field of study. Now this may take you away from the core of your business, where you should be spending your time and effort but it is possible, maybe? Personally, I have been involved in SEO for nearly twenty-five years and am still learning, testing, measuring and further trialling. I actually live and breathe all of this geeky stuff, and get excited at code, algorithms, statistics, pattern matching and the success driven from the results we achieve. We employ multiple technical specialists across various fields to provide a comprehensive technically skilled service – which is the key benefit of using a Perth SEO Agency instead of trying to implement in-house. Question: Is SEO really all that important? Answer: With SEO, you understand what consumers are searching for, and place your website in front of those consumers looking for the product or service that you offer. The core concept at the heart of Google has always been that the more people like certain content, the more likely that other people will also like that same content. The number-one factor to determining how pages rank well on Google is site visits, followed by time actually spent on the site (engaging content), the number of pages viewed per session (engaging content again), then bounce rate – why people leave the site. Google is prioritising websites that are sticky and have good content. If you don’t optimise with SEO in mind, what is left for you to do to attract customers? Do you really want to pay for each and every person to find your website with pay-per-click? If you don’t do either, then your competitors will be quite happy to take your traffic… and sales. Question: I can’t afford to do SEO at the moment, but understand it is important! Answer: We understand the challenges for small business operators and start-up businesses. SEO doesn’t have to be unaffordable, and the range of solutions and packages that we offer testifies for that. From an initial once-off SEO start-up solution, to cost-effective ongoing package offering, our budget solutions deliver traffic and grow with your business as it scales. Good SEO pays for itself by delivering targeted traffic, and generating conversions matching your ROI expectations. Question: I’m thinking of getting my friend’s son who goes to uni to do our SEO? Answer: This is a bit like doing the SEO stuff yourself question, but branching out for a cheap fix to have someone else take on the responsibility because they should be able to use a computer… that’s all that’s needed right? Experience makes you learn many lessons in this industry. I believe strongly in educating the young and providing opportunity for guided learning through providing internships so that students can get the feel of the industry that they are entering into and learn from industry professionals. I understand first hand their enthusiasm but also their limited scope of knowledge and the entry point where they have to commence from. This is not the best solution for your business. Look at our cost effective options instead, and don’t ruin your friendship when your friend’s son from uni just doesn’t cut it. Question: I’ve seen this other agency advertising all the time, are they the best? Answer: There are actually many local and national agencies, freelancers, independent home-based operations and overseas outsourcing companies all providing a range of SEO services to Perth businesses. The competition is tough! I have personally trained many marketers who have gone on to start their own business or work at other agencies here in Perth and around the globe. There are also a lot of ‘snake-oil sales people’ in the industry which has really degraded the understanding of the value of the service, in it only for the commissioned sale. Then there is the revolving door, of agency hoppers, sales reps or account managers churning through multiple agencies trying to fit in and find their spot in the ecosystem but leaving behind them a trail of destruction for others to clean up. Anyone can pay for a sponsored post or advert position. But you the client need to make the informed decision whether that agency, freelancer or next in-house hire is most suitable for your requirements. Will they be around long-term? Do they have the experience to get results? Are they committed and really care? Do they answer your questions honestly and simply? 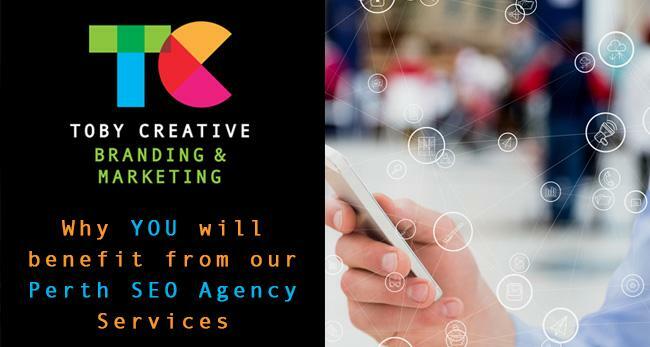 Toby Creative is a Perth owned and managed company with local specialist SEO account managers working on your project who live in and know Perth. Well established Perth company founded by the original owner – Sandra Toby – still running the business since 1991 and continuing to grow. We provide packaged as well as custom tailored marketing solutions priced to suit each Perth business. Our strategies and marketing approach delivers targeted, qualified leads to your business. We deliver the highest quality, best-practice, industry recognised solutions. We provide measurable ROI (Return on Investment) results, supported with monthly reporting and clear communication. Offering a complete integrated marketing service solution via the one Perth SEO Agency to support and grow your business in a coordinated, effective, integrated approach. Toby Creative – we actually care about your business success. Ready to begin? Would you like more information? So, where and how do we start a conversation about what Toby Creative will recommend and what services they will provide for your business? Call Toby Creative on (08) 9386 3444, email info@tobycreative.com.au or fill in our contact form on our website. Start the conversation today and we’ll arrange a no obligation, free consultation at your location and convenience, to discuss your business – where it is today, and where you want to be tomorrow. 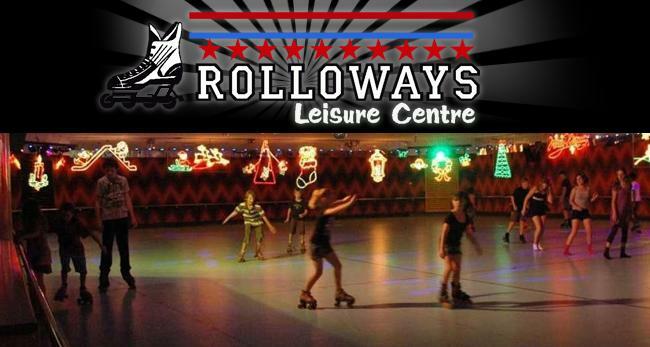 For some of the best roller skating in Perth, bring your skates to Rolloways and enjoy the fun of skating with us! We have a large range of roller skates and roller blades for hire and also a pro-shop where you can buy skates and skating accessories. The perfect venue for your next kids birthday party. Rolloways offers open skating sessions, skating lessons, catered birthday parties, a great location for fundraisers and corporate events, school graduations and reunions! Visit our snack bar and café. With over twenty arcade games, indoor, air-conditioned facilities, with state of the art sound system, live DJ, lights, strobes and smoke machines we create a wonderful atmosphere to enjoy roller skating.